Creating the ‘High’ Cholesterol Myth - Why Your Cholesterol Level is Normal and NOT High. Pharmaceutical companies and those people in the pockets of pharmaceutical companies have altered the definition of high cholesterol in order to increase the number of people who are eligible to take cholesterol medications. This article explains how many people who have been told they have ‘high’ cholesterol, in fact have a normal cholesterol level. The measurement and recording of physical, biological and social data reveals that most things exhibit a normal distribution or bell shaped curve. This phenomenon has been observed for centuries. It is the most fundamental and the most widely used concept of statistical analysis. The bell curve has certain characteristics. For example, if we measure the height of the population within a country we would find that most people have an average height, a small number of people are very tall and a small number of people are very short. This is a normal distribution and is represented by the typical bell shaped curve. As would be expected, the range of values that are found for cholesterol levels within a population also follow a normal distribution. And cholesterol levels vary tremendously between different people. Supporters of cholesterol-lowering medications would have us believe that the ideal cholesterol level is below 200 mg/dl (or 5 mmol/l), but we have known for decades that cholesterol varies from 105 mg/dl to 343 mg/dl (or 2.8 to 8.8 mmol/l) in people who are perfectly healthy. The figure below shows the range of cholesterol levels found in healthy people. This same range of cholesterol levels has been seen in people who do have heart disease and people who do not have heart disease, as documented by Professor Brisson using data from the Framingham Study - which is one of the largest studies ever done on cholesterol. Since the Framingham Study, other studies have also confirmed that people with heart disease have the same cholesterol levels as people who do not have heart disease. For example, in the UK, the typical person who has a heart attack tends to have the same cholesterol level that is seen for middle-aged and older people in the general population. Something that is not unique to the UK. A study published in the Lancet, included 5,754 patients from Australia and New Zealand who had already had a heart attack. The average cholesterol level of this group of people was around 220 mg/dl (5.7 mmol/l). Data from the World Health Organization Global Infobase shows that around the same time, the average cholesterol level for the general population was also 220 mg/dl (5.7 mmol/l). People who suffered a heart attack had the same average cholesterol level as the general population. A study published in the American Journal of Cardiology included 8,500 American men with existing heart disease. The average cholesterol level for this group of people was around 215 mg/dl (5.5 mmol/l), which again, according to the World Health Organization is around the same or even slightly lower than the average cholesterol level for the general population. It wasn’t that long ago that we were told anything above 250 mg/dl (6.5 mmol/l) was too high. And over the last few years the threshold has progressively been lowered and lowered - each time without scientific evidence to support the lowering of the threshold, and each time the decision to lower the threshold being taken by experts with links to the companies that make statins. Of course, each time the threshold is lowered, millions more people become eligible for cholesterol-lowering medications - massively increasing the market size for the drugs. 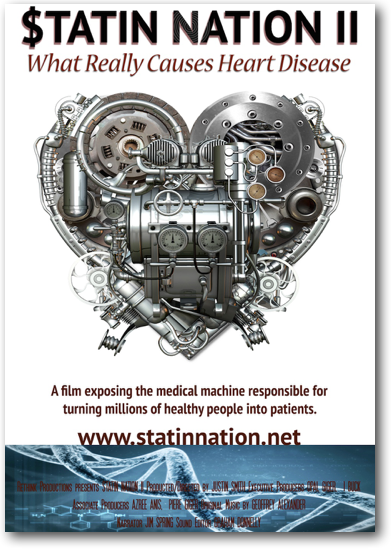 Screenshot from STATIN NATION. Lowering the threshold massively increases the market size for statins overnight. And in fact, despite all the hype about cholesterol, many industrialised countries around the world have seen a significant reduction in the average cholesterol level and even greater reductions in the number of people with so called “high” cholesterol - before the widespread use of statins! For example, in the United States, the number of people with a cholesterol level above 240 mg/dl (6.2 mmol/l) in 2002 was around half the number in 1962. A similar trend can be seen in England. The general perception is that people in industrialised countries have high cholesterol as a result of poor lifestyle choices. First of all, the cholesterol level has not risen - it was already falling before the widespread use of statins. Secondly, cholesterol levels are not high, but normal for most people. Thirdly, people with heart disease have the same average cholesterol levels as healthy people. And the fourth point is that cholesterol lowering does not reduce the risk of heart disease. For example in the UK, between 1994 and 2006 the percentage of men aged 65 to 74 with ‘high’ cholesterol decreased from 87% to 54%. Despite this, the rate of coronary heart disease for this age group stayed about the same. Other age groups have experienced an increase in the rate of heart disease as the number of people with ‘high’ cholesterol has decreased. Those with vested interests have done a really good job of confusing people about normal cholesterol levels and created a huge amount of unnecessary fear about cholesterol solely for the purpose of turning healthy people into patients. Allender S, Peto V, Scarborough P, Kaur A & Rayner M (2008a) Coronary Heart Disease Statistics. Chapter 10 blood cholesterol. London: British Heart Foundation. Allender S, Peto V, Scarborough P, Kaur A & Rayner M (2008b) Coronary Heart Disease Statistics. Chapter 2 morbidity. London: British Heart Foundation. Allender S, Peto V, Scarborough P, Boxer A & Rayner M (2007) Coronary Heart Disease Statistics. Chapter 2 Morbidity. British Heart Foundation: London. Carroll MD et al (2005) Trends in serum lipids and lipoproteins of adults, 1960–2002. Journal of the American Medical Association 294 pp1773–1781. Durrington P (2003) Dyslipidaemia. Lancet 362 717–731. Rubins HB et al (1995) Distribution of lipids in 8,500 men with coronary artery disease. The American Journal of Cardiology 75 1202–1205. Sachdeva A et al (2009) Lipid levels in patients hospitalized with coronary artery disease: an analysis of 136,905 hospitalizations in get with the guidelines. American Heart Journal 157 111–117. World Health Organization (2009) Global Infobase [online]. 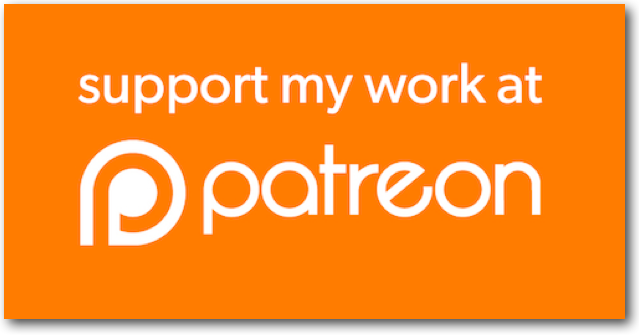 Newer Post“Statins Protect Against Cancer” - Media Gets it Totally Wrong Again!